While being for about 20 years in the corporate environment I have tackled with different managerial styles, performance related issues, employee relations issues, and employee heartbeat going up and going down, productivity going up and down. Financial, hospitality, consumer goods or any other business sector is people world, people have emotions and people are driven by underlying beliefs. Now, when I shifted my career from in-house HR to freelance Business, Leadership and Career coach, I have decided to embed in seminars and trainings coaching skills for People Managers and to transform management style from judging ( Manager Judge) to coaching style ( Manager Coach). Managerial function is evolving. From organize, coordinate, command is shifting to motivate, develop, communicate. In VUCA, which is acronym for volatile, uncertain, complex , ambiguous world managerial function is further evolving and number 1 competency for manager is Coaching skills. Transformation from Manager Judge to Manager Coach is not easy move but is becoming inevitable in people management. We do change. We change our look, our circumstance, who we associate with. We mature. We learn new skills. We change patterns, beliefs. We get better. We need a little help. know- how to get on with the task in hand if and when necessary. 21st century faces challenges to senior leader and managers. VUCA world is much effected by globalization, economy shakes, crypto currency, fast business development, robotics and digitization in all spheres of business and human activity. Today as never before it is crucial, not only to be open to changes and accept changes, but as well propose changes and find new perspectives. It is essential to be emotionally intelligent, being able to identify new perspectives, build new vision, identify strengths and transform VUCA volatility, uncertainty, complexity and ambiguity to VUCA vision, understanding, clarity and agility. Change is now the only constant in the current workplace and VUCA world. With the fast-paced progress of AI (artificial intelligence) and the digital age, added to the ambiguity and complexity of the global political and economic environment, leaders and managers are increasingly trying to juggle their priorities and workload to create some form of work/life balance as well as meet the high demands of shareholders and increasingly savvy consumers. To develop the afore-mentioned habits in managers it is important to raise managers self-awareness, to equip managers with coaching skills in order to manage VUCA workplace. We act in lives and at work based on patterns, models of behaviour. Same is with management style, which becomes pattern gained from previous experience. If it is good pattern it is all right, but what if pattern we use when act as a manager is outdated and is based on assumption, that people need coordination, control and monitoring and this is the only way to manage work. Nowadays this style of management will not boost productivity and drive performance. To change this pattern, it is important to raise managers EQ. Emotional Intelligence (EQ) is defined as the ability to identify, assess, and control one’s own emotions, the emotions of others, and that of groups (David Goleman Emotional intelligence, 2006). Getting to know people is difficult task. There are so many traits for every individual that we’ll probably never see two people that are exactly alike. Simple triggers can make someone angry, joyous, sad, or happy. We also cognitively develop triggers over time, that allow us to feel a certain way during certain events. All these emotions and triggers are what make us unique, but it’s also what makes being a leader or a (good) manager so damn hard. A true leader and manager must have enough emotional intelligence to gain an understanding of the people that are following their lead. 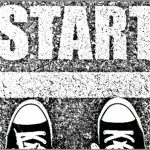 Developing culture and EQ skills of raising self-awareness, self-management and management others emotions are one step in this journey. Leading by example is well acknowledged management model, proving that unless manager is not demonstrating best example, he/she cannot develop credit of trust to be followed. Develop (or re-build) trust and building relations between manager and teams is part of this journey. Coaching leaders to express gratitude towards themselves, company and their teams, build confidence, releasing judgement, power listening, power questioning, effective feedback and other important coaching presence and skills components. Tailoring those components in managerial programmes and equipping with practical sessions. Through learning by doing, through self-coaching sessions Manager increases Coaching competence. For senior leaders and managers is important to identify where they’ve come from in terms of their capability and experience, where they need to get to in order to realize their and staff potential and step up and, most importantly, how they are going to get there. Let’s review some People Management components and how Manager Coach can make difference. Manager Coach asks powerful questions in order to identify talents and inner drives. Manager Coach demonstrates active listening, is free of judgement is able to select best match candidate for today business activities or for upcoming future projects. Manager interviewing skills are evolved – instead of biographical questions, and only achievement related questions, manager is able to identify not only what was done but how candidate feels about it, is able to unleash candidate strengths and potential. For internal candidates, Manager Coach had competency to conduct career coaching interviews, whereas Manager Judge has only one response – No, we don’t have currently job openings (considering only vertical line promotion), I would have promoted you but HR disagrees, To compare you wilt X you have less skills and so on. According to Dr. Lois Frankel, a bestselling author and executive coach, the difference between a leader, who gains commitment from employees and one who only gains compliance is coaching. The most effective leaders see themselves as being coaches and leaders rather than managers or supervisors. What has also changed in the Gen Y workforce is that the new generation of workers want to be challenged and recognized for their efforts. For them to be committed to your organization, they need to be led, not micromanaged. Deloitte looked at how Gen Y employees are very different from the previous iconic generations and found that Gen Y’ers are a “hidden powerhouse of employee potential”. 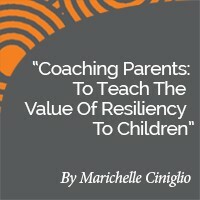 This means that they are more eager to contribute and take on additional responsibility that will help them advance. Although competitive pay does influence their decisions to work for a company, they highly value meaningful development opportunities. John Whiltomore in his book Coaching for Performance (Coaching for Performance: The Principles and Practices of Coaching and Leadership (People Skills for Professionals), 2009). explains how to unlock people’s potential to maximise their performance. How Managers shall use GROW model (Goals, Reality, Options, Will). HR world is debating now whether there is need to have performance evaluation systems in the way it exists, performance evaluation as a part of performance management. The weakest point in performance management is effective feedback part, which is interpreted by some managers only as necessity to give feedback, others do not provide any feedback at all. Mostly such feedbacks are employee weakness – focused and judgemental, mostly they are conducted in a very discouraging way. Changing focus to strengths identification, removing weakness part in performance evaluations and during performance interview, provision of really effective feedback is essential skills for Manager, Manager Coach will be able to tackle with. Coaching skills such as ability to ask powerful questions, listen actively, demonstrate empathy and allowing employee to find own options, new perspectives adds value to performance management systems and overall productivity. Manager Coach role in performance interviews will be to provide support through process where reflection starts, employee himself/herself finds options to resolve issue. ‘Employee engagement’ is the magical ingredient: it makes staff genuinely committed, creating excellent work. Few organizations actually achieve it, though all say they want it. Coaching is the most reliable a way of producing it. Recognition and celebrating success is quite often ignored by managers, and skeptically received among those who believe that only monetary rewards motivate people. Recognition motivates and energizes employees to make things happen. Stepping up recognition in tough times sends the strong message that you trust in employees’ ability to turn things around. As Chester Elton and Adrian Gostick have noted in their management books (“The Carrot Principle,” “The Orange Revolution” and “All In”), fewer than half of managers even try to recognize their people. Those who does will have a strategic advantage over most of your peers and competitors. Manager Judge always compares employees to each and rewards best one among the team, whereas Manager Coach celebrates success of every single individual in the team and recognizes their inputs. Development success celebration pattern among managers is way to transform to Manager Coach model. Promoting celebrating success culture, having fun, acknowledging contributions, enthuses people. The International Coach Federation (ICF) and Human Capital Institute (HCI) have released findings from their latest research Building a Coaching Culture with Millennial Leaders which shows how young leaders benefit from partnering with a coach and receiving training on how to use coaching skills with their peers and teams. According to the report, leaders who use coaching skills and have coaching qualities such as emotional intelligence are most effective. Forty-six per cent of respondents in organizations with strong coaching cultures reported above-average 2016 revenue growth in relation to industry peers, versus 39 per cent of respondents from all other organizations. 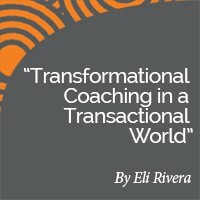 This research paper aimed to provide research and ideas how coaching transforms workplace relationships, how important is development of coaching skills for managers and to transform Manager Judge to Manager Coach. Coaching is important competency for high-performance leadership. 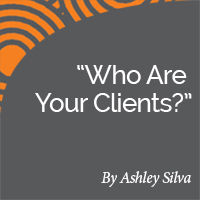 Research Paper: Who Are Your Clients? 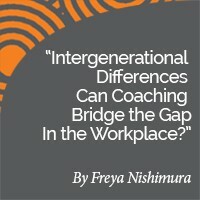 Research Paper: Intergenerational Differences Can Coaching Bridge the Gap In the Workplace?